I notice people ask about switching a Dolphin free license to a paid one on occasion, and thought maybe this post would help a few people out. 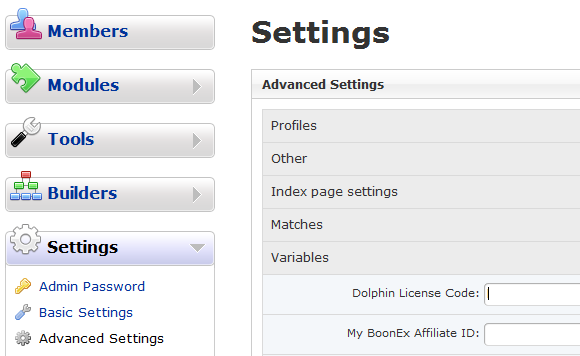 This is a short and simple tutorial that will show you how to remove your free Dolphin 7 license and update it with a paid license which removes the Boonex links from the footer. 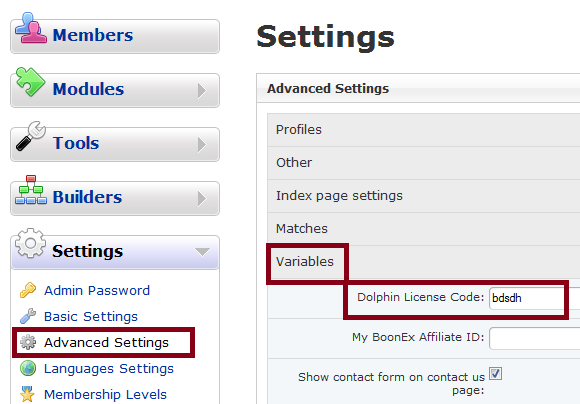 This tutorial assumes that you have purchased a valid license from Boonex. Find, open or expand the Variables section in the center of the page. 2. Remove your current Free license code. Then, scroll to the bottom of the page and click the Save button. 3. 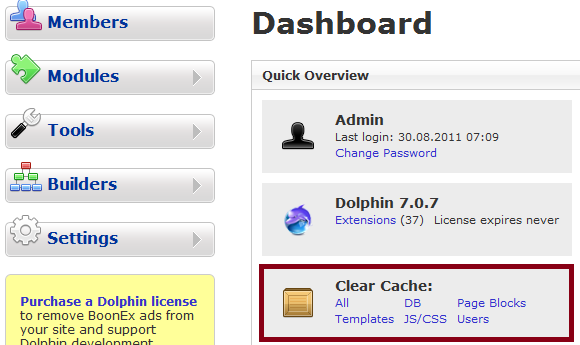 Go back to your Dolphin 7 main dashboard page and clear the cache. 4. Now log out of your Dolphin 7 Administration. You shouldn't have to close your browser, but it certainly wouldn't hurt. 5. Go back to your Dolphin 7 Administration and login. You should see the Boonex splash screen that says: Purchase a Dolphin License. Simply enter your Paid license into this box and click the Register button. After that, you should't see the Boonex footer links. 1. Review and repeat the steps above and try again. 2. After you clear the cache and logout in step 3 / step 4 you might manually clear the cache by removing the files in /cache and /cache_public except for the .htaccess file. However, the process is the same for all Dolphin 7 versions before and likely after.